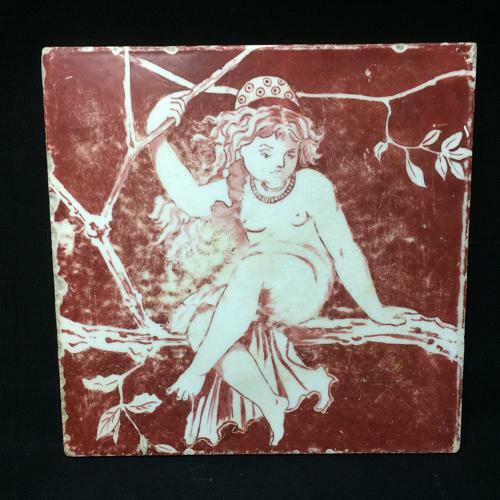 This large Victorian 7 " x 7 " tile is a one of a kind hand painted tile. Good condition but has considerable wear to surface and some nibbles around the edges. A rare find.